Classic flavours are prepared in a new and exciting manner from chef Luke Tipping . Turnip can seem an uninspiring ingredient at times, yet is presented as an exquisite fondant alongside the roast duck crown. 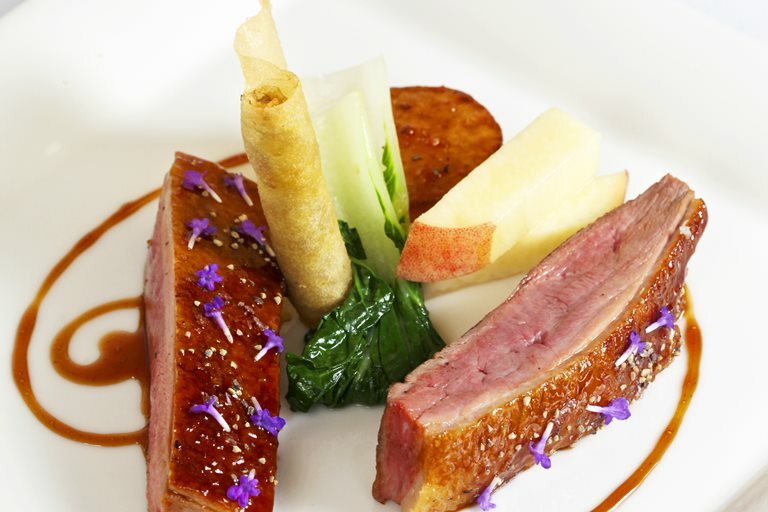 Peach adds a sweeter note to counter the richness of the duck in this recipe.